Wow! This is really an interesting topic. You mentioned about the information surplus in the internet. I do agree with the current situation of information surplus plus the unwanted, misleading and destructive information available in the internet. The foresight such an of filtering, synthesis, validation and application that will result into “collective intelligence” could be a great feat. Again, I would want to look on the legislations related to internet information. What are the laws effected to combat destructive informaton and what are the laws made to protect users of internet information. In the end, one will go to court to plea ones case. I can only imagine someone will suggest or create an internet court of justice wherein internet users will deliberate court proceedings through the internet. Pingback: Collective Intelligence. « Brittini's Class Blog. Interesting topic, this article is your closest to science-fiction ^_^. Collective Intelligence is nearly synonymous to hive mind. This interface that will require computing technologies of the future will have to break several technology barrier before it begins to get off its feet, nonetheless the implications however promising is not without potential negative effect. Just the future ‘gurus’, who gets to be these guys? how will they facilitate? 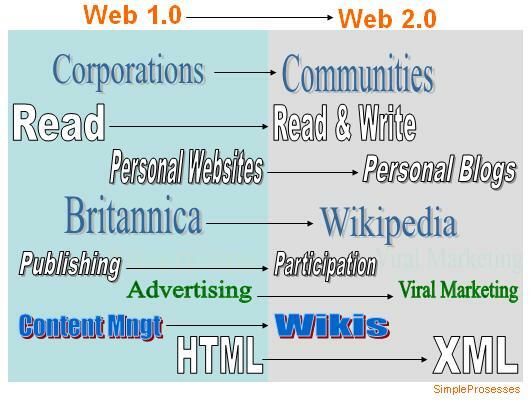 what will be the output of this web 3.0 and beyond. Call me hyper imaginative but with me ultimately the goal of technology is positive results what is the point of achieving so much if what we are left with is just a heap of information one ton good one ton bad (filtering needs to be impressive). The future realistically will lead to this, but people will have to decide how best to utilize this platform. And the virtual court comment, hehe that’s a good one. Glenn – a really visionary explanation for how technology is changing the way we work. I see the synthesising institutions output however being increasingly porous and integrated, rather than siloed, leading to a vastly distributed and network connected field of easily accessible high quality accurate information structured around a coherent meta-ontological framework and facilitating the flow of sentience through a system comprised of our aggregate interactive capacities. I see this frame work emerging as a result of the distillation process you envision as web3.0 filter service. Some of us who are responding to this implicit idea are already collaboratively generating the capacity to render this service. Brilliant to connect with this document, thanks for writing it. I hope we can co-imagine some of the finer grained details together. A symbiotic evolution of human and machine intelligence and intuition. 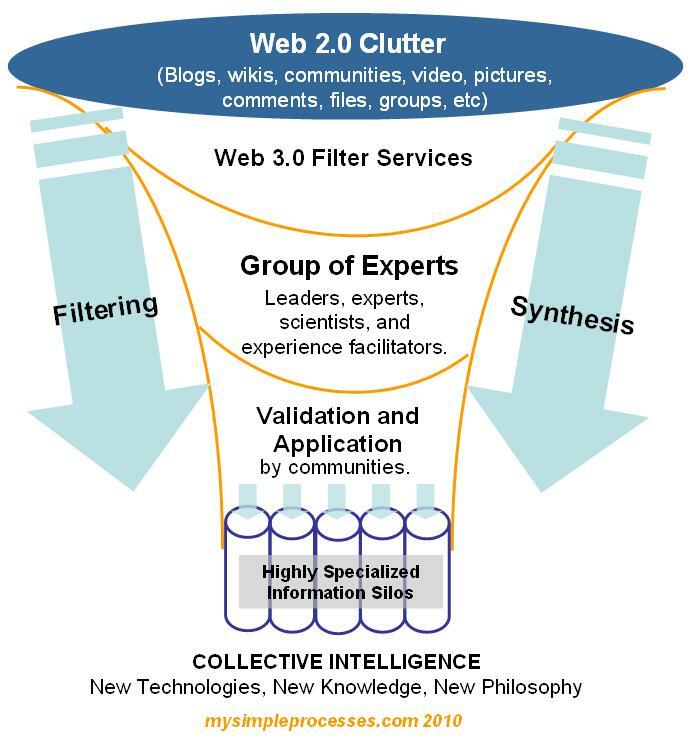 I like the concepts in the diagram but have one critisism which is that the concept of increased specialization of information silos, while it may be true, may run contrary to the revolution that is needed. Increasing specialization is more of what we already have, and what we’ve already been doing. We being society. What’s needed is what the diagram almost but not quite identifies as “expert facilitation” and especially SYNTHESIS. However synthesis is the relating of different concepts, the looking outward to context rather than inward to components, and with that as a very significant characteristic of web 3.0 (I’d say civilization3.0) the concept of highly specialized silos of information seems to miss the mark.